The Piper PA-18 Super Cub is 3.6 MB. Larger files take longer to load. This is the Piper PA-18 Super Cub listing page, here you can download the plan, article and see the main thumbnail and extra images. 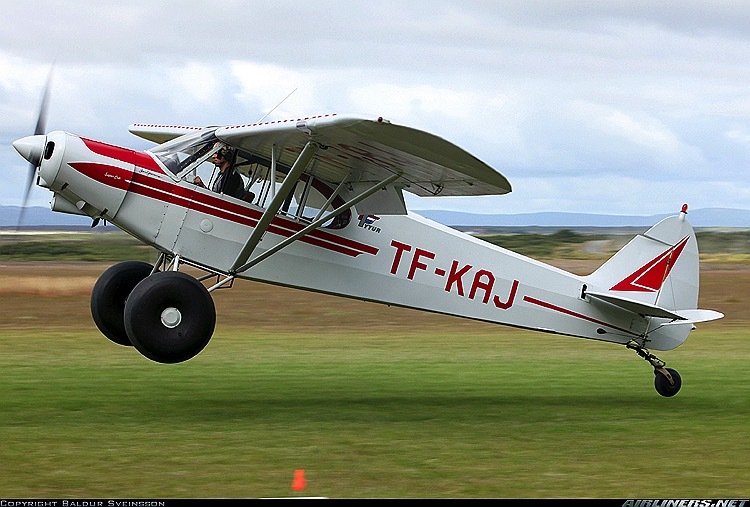 The Piper PA-18 Super Cub is a two-seat, single-engine monoplane. Introduced in 1949 by Piper Aircraft, it was developed from the Piper PA-11, and traces its lineage back through the J-3 to the Taylor E-2 Cub of the 1930s. (Wikipedia) When fitted with very large tires this airplane is often used on unimproved airstrips in the Alaskan back country. The downloaded plans of the Piper PA 18 are on 3 pages. The first page is a plan sheet of the Piper build plan set. The second and third pages are pages of patterns required to build this Piper model airplane. The third page image quality is questionable as it appears to be a copy of a copy. The completed model requires five servos if powered by a two cycle Nitro engine. Four servos are required if an electric motor is chosen. An electric motor alternative would be a motor of 1200 watts with a 60 amp ESC and a 5–7S Li-Po battery. 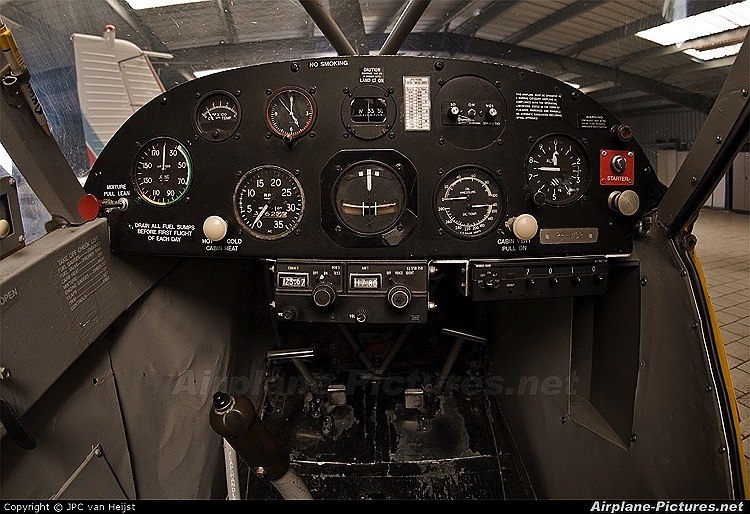 If building this model Piper PA 18 as a true scale, the website airliners.net has many reference photographs. These are the details for the "Piper PA-18 Super Cub" plan. If you would like to become a plan editor and help us to edit the attributes of all the plans in the website please click the "Edit Attributes" button below. Order your Piper PA-18 Super Cub prints today! 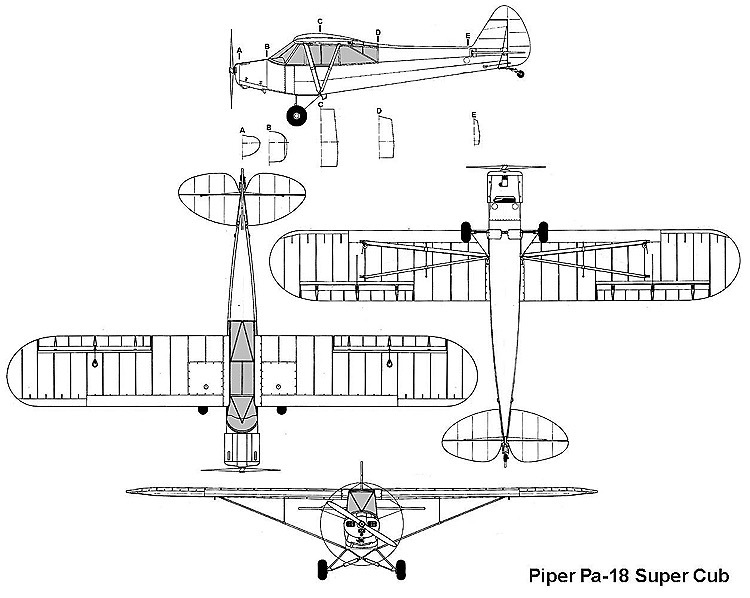 The Piper PA-18 Super Cub plan can be printed on plain paper, tracing paper or polyester film and shipped worldwide. This tool allows you to calculate the cost of printing and shipping the Piper PA-18 Super Cub plans and its building article if available. If you need to resize a plan please contact us with the ID:83338 and the desired wingspan. I will calculate a price upon request, please contact me here mentioning this PlanID: 83338 and the job you wish me to do. This plan is 3.6 MB and was shared by our member kenb on 09/04/2015 02:06 in the PDF Bitmap Wood Model Airplane Plans (2) category. It has been downloaded 1743 times.